"Anything you can do, I can do better! I can do anything better than you…"
It’s an oldie for sure, but it turns out, the catchy tune by Irving Berlin from "Annie Get Your Gun" might just have been on to something. It turns out that female brains tend to age more slowly than those of men, researchers report. Women's brains appear to be about three years younger than those of men at the same chronological age on average. 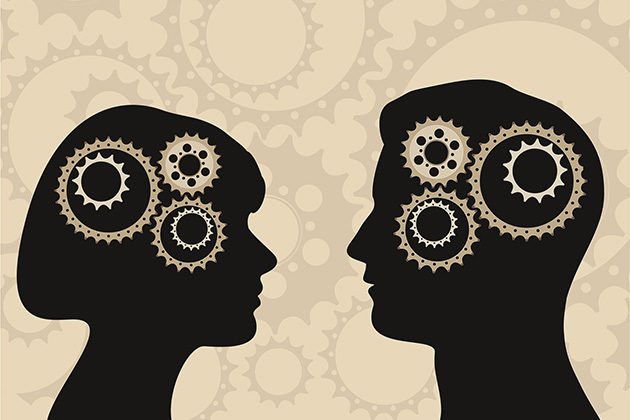 This finding could provide one clue to why women tend to stay mentally sharp longer than men, the authors noted. Scientists have long known that people's brains change both in function and in structure as they age. "The brain really relies on glucose and oxygen to meet its metabolic needs, and it's a very large consumer of those resources," Dr. Goyal explained. "How it uses glucose and oxygen, and in what parts of the brain it uses the most, changes as people...age." The study authors recruited 205 people aged 20 to 82 to undergo brain imaging scans that were designed to measure the flow of oxygen and sugar in the brains. That data was then integrated into the computer program. "When we started looking at [men versus women], we were pleasantly surprised that when the machine was trying to age a woman compared to a man, it consistently aged the woman to be a little bit younger than the man," Goyal said. "On average, it found that women appeared to be younger than men in terms of their metabolic brain age, in terms of what their brain metabolism pattern looked like." This trend held true and was detectable even when comparing men and women in their 20s, the researchers said. They suspect that women initially gain this advantage during puberty. Important to note, researchers are reluctant to speculate about how (or even if) brain metabolism is related to conditions like Alzheimer’s and dementia. The full study appears in the Feb. 4 edition of Proceedings of the National Academy of Sciences.